According to federal statutesfraudbona fide business or charity by making false claims of belonging to an organization of good standing within the community. The organization may or may not have a legitimate corporate or business charter along with a fake or legally assigned tax ID number. The most difficult wire fraud scams committed via telephone use the name of a reputable organization or corporate name to defraud victims of money or property. Wire fraud may also be committed, internally, within an organization to defraud members of the same organization or entity. 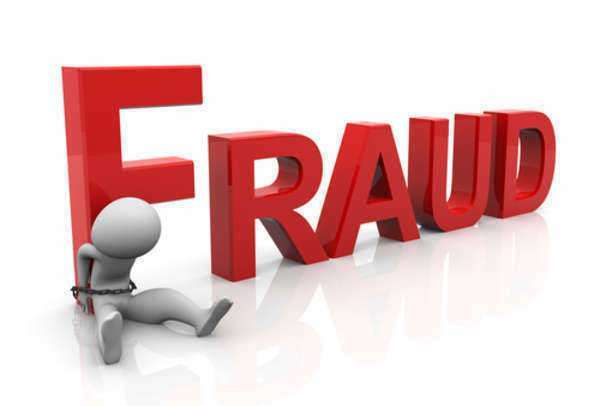 Wire fraud is not only a crime that subjects the public to property loss. Wire fraud scams committed via broadcast communications are particularly difficult to detect because victims assume legitimacy because broadcast communications are subject to a high degree of regulation by the federal government and television and radio networks. Certain industries are more subject to a higher degree wire fraud suspicion like dishonest televangelist churches and psychic television infomercials because the transfer of services and money in these industries have a wide range of satisfaction. Religious organizations who use television to build their organization are only subject to prosecution when the moneys they are collecting from adherents of a given are not used to support the faith or the causes the faith endorse. All industries are capable of committing wire fraud and these examples are not meant to disparage those psychics and televangelists who truly adhere to legal commerce. The worst radio or television wire fraud scams happen in the wake of natural disasters and other such catastrophes in which masses of people are dispossessed of a home or killed. Everyone should have a heightened awareness of potential wire fraud scams during these unfortunate times. Typically, charity infomercials on TV are safeguarded from fraud because national television networks are subject to civil liability as a result of giving a dishonest organization a safe haven to broadcast their dishonest operations. Wire fraud that occur in relation to disaster relief operations are subject to more investigation and harsher penalties if any scam is uncovered. It is of critical importance to donate to charitable organizations of good repute and have an excellent record with the Better Business Bureau or have a long heritage of philanthropy. Wire fraud is also applicable to Internet communications that of all types of media. Fraudulent Internet communications designed to defraud unsuspecting victims of a visual or textual nature also fall within the scope of wire fraud statutes. These websites may or may not use a third party organization to disperse their fraudulent behavior. Websites like YouTube and Facebook are constantly monitoring their user published content to ensure that they are not providing a safe haven for wire fraud scams. Non-third party websites that use false pretenses to illegally gain property or money maintain the appearance of legitimacy through the use of websites that look professionally designed. Wire fraud of this type occurs at a greater frequency in the aftermath of disasters and holidays when philanthropy is more common. This method of wire fraud is not limited to websites of fake charitable organizations. Shopping websites and other commercial related websites offer a product or service for a fee without any reciprocation; this behavior also qualifies as wire fraud.